Our respondents represented the roles of Principal, Lawyer, Office Manager, Paralegal, Financial Controller and IT Systems Engineer. We surveyed firms that specialise in areas of law, firms that offer multidisciplinary services, all with varying number of employees, and with office locations in single or multiple cities. 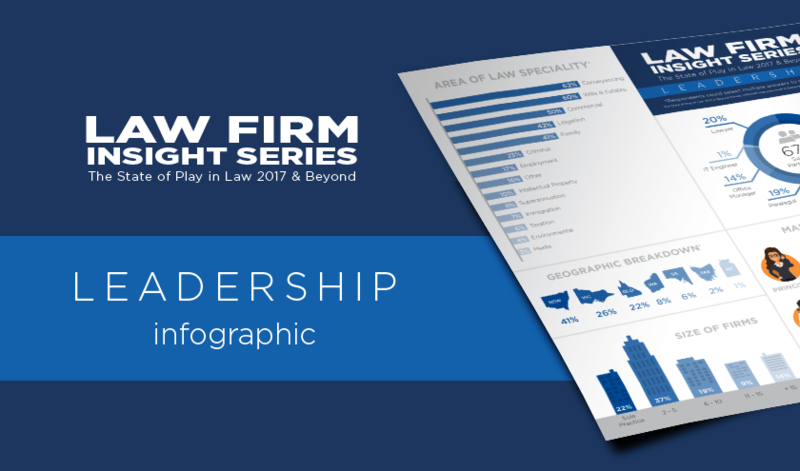 Download this Infographic to find out what the role of Principal and Lawyer identify as their biggest challenges. You will learn what is the strategic focus for Principals over the next 12 months, and what emerging trends are opportunities for law firms. Next article Are you over-analysing moving from server-based systems to the cloud?